Tip #12: Be like a duck. 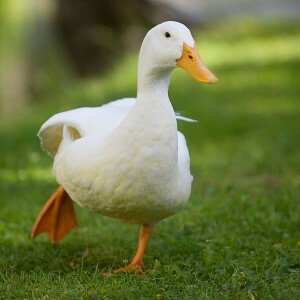 I grew up with ducks. I learned something from those ducks. When it rains just let the water roll off your back. Have you ever seen the way water beads up on a ducks back and rolls off it? When my feelings are hurt because someone is criticizing me or when someone is in a bad mood around me I try to remember to be like a duck and let the feelings or words just roll off of me. I visualize their hurtful words as water beading up and rolling off my back and then I waddle off in search of more positive, pleasant people to be around. Great advice, even (especially?) when what you want to do is go all crazy Canada goose instead. Michelle Be like a duck! 🙂 I know I love the song!